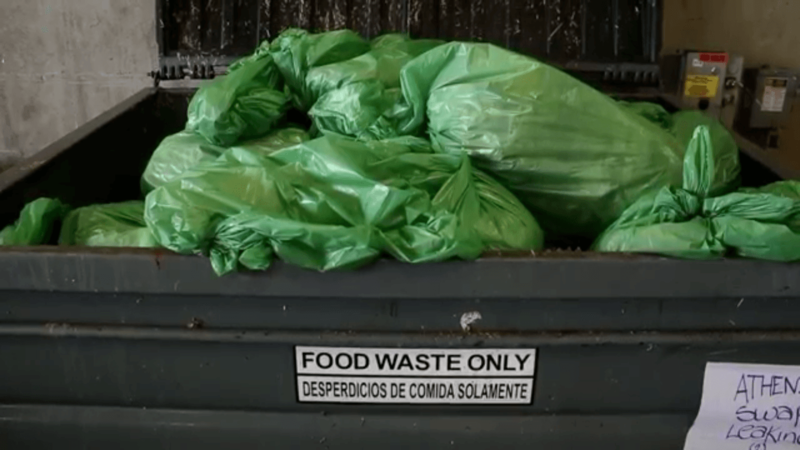 The Food Waste Team is proud to announce that we finally have the rough draft of our food waste film! We finalized the script two weeks ago and the film group worked diligently to deliver this video as soon as possible. We wanted to follow the trajectory of an average student’s food waste: from the table to the conveyor belt to the pulper and finally to the compost bin. The quality of the video was spectacular and they followed the script as closely as possible. There are still a couple of details that need to be sorted but overall, our team is very happy with the progress thus far. We will keep y’all posted with further updates. We are also moving forward with other educational outreach goals. We are planning to meet with dining hall managers to present our research and get their feedback and support for future signage at the dining halls. In addition, we are also contacting Resident Directors to host another focus group and further test and discuss our signage. We received great feedback during Earth Day and the Food for Thought event so we would like to hear back after making the necessary edits to our current signage. Undergraduate Research Week is fast approaching and we are excited to finish our poster and present our research to the public. This event will be held on May 23rd, so make sure to check us out!